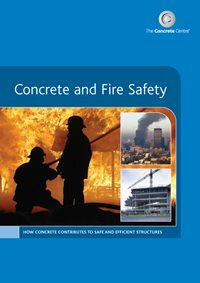 In fire, concrete performs well – both as an engineered structure, and as a material in its own right. It has the highest fire resistance classification (class AI) under EN13501-1:2007 and A1:2009. The Grenfell tragedy is rightly making all parties involved in design, construction management and fire safety of the built environment reflect and consider what needs to be changed. The Concrete Centre has and will continue to make our fire expertise available to the public inquiry, all professional bodies and regulators to help reduce risks from fire.